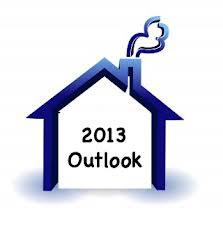 The property market has seen unimpeded growth since the year 2010. That were the best of times; anyone who invested in almost any type of property, be in the Klang Valley, Johor or Penang, with reasonable amount of common sense would have made some sort of profits, in some way or another. The question now in everyone’s mind is would 2013 experience similar or better growth? Or would 2013 bring about a change? Before we go there, let’s take a look at both the global economy conditions and local economy conditions. Several countries are printing money without backing. This leads to several consequences, with the obvious one being inflation. This would mean that in the long run, services and products will cost more, including real estate. At the local front, everything now is more of hype. Nothing is real, in our country. Many of the government directives are politically incline, simply put, our politicians are busy collecting brownie points by sugar coating many of the issues in order to make voters happy, instead of focusing on the mid to long term measures necessary to steer this great country to greater heights. This sets the tone for everything and everyone else. While everyone is high on the sugar, many of the private sectors have taken opportunity of the situation to profit. However, having said that, 2013 still has in store a positive outlook for property investors especially in selected locations that is poised to experience rapid growth e.g. the economic corridors earmarked by the government. Closer to home on beloved Penang; projects are being launched almost monthly. And we are still seeing queues of buyers lining up hoping to get a piece of real estate. Recently, two simultaneous launches have resulted in one project achieving better sales than the other. What is the catch? Or rather what is the attraction? We, the investors, are so caught up in the moment of high emotion and fascinated by the “irresistible” offer; we almost always forget to do the math. Everyone is busy chasing the money. They are so mesmerized by the stories they hear, that they have forgotten how to count the actual numbers in the market. With so many projects being launched monthly, Developer has gotten creative in making the entry to these projects “affordable”. Almost everywhere I go, even at the wet market, people are talking about “this project” or “that project”. Should we be fearful when everyone is greedy? I think we should continue to invest and be a better investor. How? By learning about the market, doing research and most importantly, calculate the math. At this juncture, I’d like to invite you to a talk specially for this year: Outlook 2013: You need to be a better investor. This talk will be given by my Property Coach, Michael Tan, who had shown me what to look for before investing in a deal. He will show you how the market has been, the consumer and investor behaviors as well as how you can still make a profit in the current market environment, safely and consistently. PS: At the end of this talk, I will share with you how I made 80% ROI is less than a year on a deal that I invested in 2011. Michael has been sharing with many since 2008 how to invest into properties safely and profitably through the FREEMEN™ courses, coaching classes and investment club. From bankrupt business owner to a self made millionaire, Michael has built his property empire up from zero, making his first millions with no money down. He now has a portfolio of commercial and residential properties from apartments, to offices and shoplots. Michael’s passion now is to share with others how to achieve financial freedom through property investments. His unique coaching methods and intensive, down to earth and personalized workshops through his company, FREEMEN™, has made him the best* and most successful real estate investment coach in Malaysia. *SPECIAL OFFER: 1st 17 people to register in for this event will get a FREE map from Ho Chin Soon.